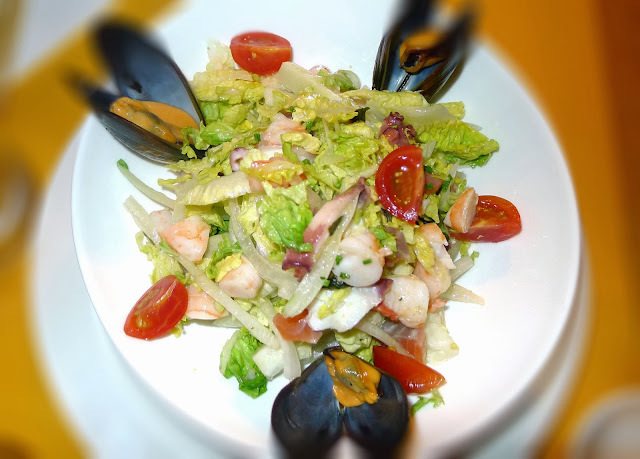 Fresh mussels steamed in its sweet sea flavor with fresh garden vegetables sliced and tossed in your favorite dressing. 1. Blanch the cabbage by immersing in a pot of boiling water for about 2 minutes. Drain then immediately plunge cabbage into a bowl of ice cold water. Let stand about 5 minutes then drain. 2. In a mixing bowl combine cabbage, red and green peppers, and carrots. 3. Stir in cooked tahong . Chill in refrigerator. 4. In a small bowl, stir together vinegar, ketchup, sugar, salt and pepper. Let stand a few minutes to allow flavors to blend. 5. Pour the dressing on the vegetable-tahong mixture just before serving. Garnish with cooked tahong on shells. Serve cold.